In February 2016, we partnered with Pratham Books to bring the pure joy of a bedtime story to kids in some of the unprivileged parts of Delhi. What if we could just get these kids to give a missed call and get a call on which they can listen to a story? What we did was to leverage the power of a simple phone call. What started off as a pilot soon turned into an explosive success due to the response we received from the kids. We hoped to do 25,000 calls over a week – but we did 36,000 calls in 5 days! The enthusiasm of the kids made us want to understand more about what was happening. We wanted to have a real-time view of things that were happening – who was calling in, what story were they were listening to, how many stories they listened to, how long they spent on a call, etc. We wanted to build a quick hack to make this happen. 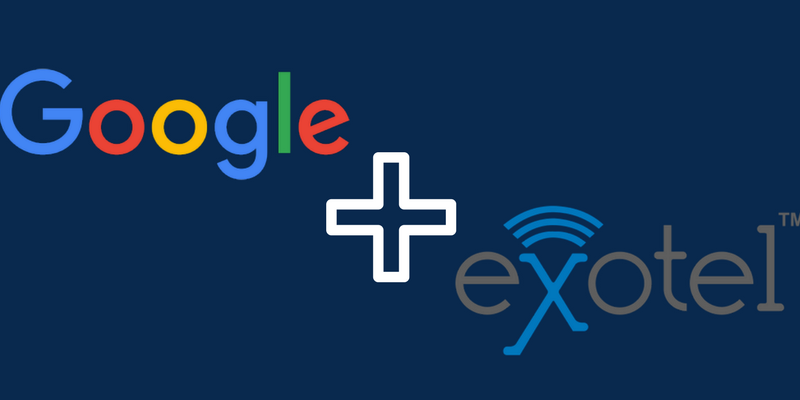 That led to our discovery that Google Sheets could be used extensively along with Exotel. The possibilities were endless. Google App Scripts is one of the simplest tools to work with to simulate web requests. You can do some cool stuff with it and simple Spreadsheets! This post lists down the scripts for some of the most common use-cases that we’ve come across. 1. Create or open a spreadsheet in Google Sheets. it a project name and save it. 3. Delete any code in the script editor. 4. Select the menu item File > Save. 5. Enter the code for the specific use-case from this post. 6. Publish or deploy the script as a webapp. 4. Under Who has access to the app, select Anyone, even anonymous. This helps make the webapp accessible to Exotel. The missed call use-case is relatively simple. The customer gives a missed call to an Exophone, and their number gets saved in a spreadsheet. The code can also be used for other use-cases such as capturing the DTMF codes entered by the customer and any single entry use-case. This means using this script you will be able to capture a single parameter and write it into a spreadsheet. 1. Open a new spreadsheet. 2. Upload the code below in the script editor of the spreadsheet. 3. Publish the code to get the webapp URL. 4. Once deployed, copy the webapp URL which will be used later in the Exotel flow. 5. Open your Exotel account and create the flow below in the App Builder. 1. Drag and drop the Passthru Applet. 2. In the Passthru applet, use the webapp URL that was created earlier. 3. Drag and drop the Hangup Applet. In this use-case, the customer gives a call and enters a DTMF code to rate the service. In this script, both the customer’s number and the DTMF codes are tabulated in the sheet. This can also be repurposed for capturing multiple parameters and write them onto a spreadsheet. 2. Upload the below code in the script editor of the spreadsheet. 3. Publish the code to get a webapp URL. and tabulated in the spreadsheet. 2. Drag and drop the Passthru Applet. 3. Use the webapp URL, that was created earlier, in the Passthru applet. 4. Drag and drop the Hangup Applet. 6. Assign an Exophone to the newly created flow. Click here to understand how to assign a number to a flow. You can play a personalised greeting to your customer based on the incoming number. You’ll need to fill a spreadsheet with a list of customers’ numbers and the corresponding greeting URL (a WAV file) in the adjacent column. Then, open the script editor of that sheet and paste the below code. Whenever the webapp is triggered, (during the GET request) this code will be executed and the corresponding greeting for that calling number will be returned. This code can be used for multiple other use-cases as well such as Extension-based routing, condition-based routing with Switch Case applet, etc. These use-cases can be achieved by changing the return value and playing around with the spreadsheet. This is a read and write script – the data from spreadsheet is read, some logic applied, and an appropriate output returned. You can experiment with the script based on your requirements. parameter to be returned in the second column. entered in the first column and the corresponding link to the greeting file is added in the second column. 3. Upload the code below in the script editor of the spreadsheet. 4. Publish the code to get a webapp URL. 5. Once deployed, copy the webapp URL which will be used later in the Exotel flow. 6. Open your Exotel account and create the flow below in the App Builder. Based on your requirement, add any other applet you need to continue the flow. 1. Drag and drop the Greeting Applet. 3. Drag and drop the Connect applet. 4. Drag and drop any other applet you need. 1. Drag and drop the Gather Applet. 3. Use the webapp URL that was created earlier in the Connect applet. 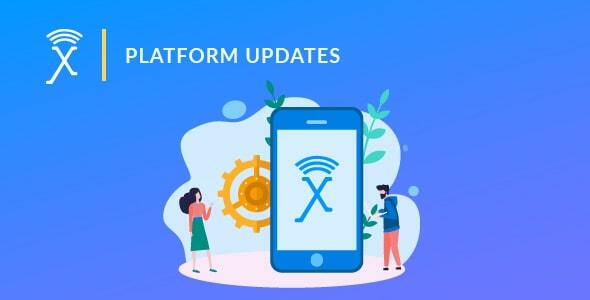 Based on the extension entered by the user, the corresponding number in the spreadsheet will be returned by the URL which in turn will be called by Exotel. Assign an Exophone to the newly created flow. Click here to understand how to assign a number to a flow. 2. Use the webapp URL, that was created earlier, in the Passthru Applet. 3. Drag and drop the Switch Case Applet. Based on the requirement, specific actions can be set for various keywords predefined in the Switch Case applet (which is returned in the Passthru applet based on the ‘From’ number specified in the spreadsheet). Assign an Exophone to the newly created flow. Click here to understand how to assign a number to a flow. In this case, you’ll be presented with a spreadsheet with an extra menu tab (we’re calling it Exotel, but you can call it anything – but for this post that’s what we’re referring to it as). All you’ll have to do is upload the list of numbers in the spreadsheet and navigate to menu item Exotel > Call all numbers. Additionally, if you’d like to do an automated call campaign and collect customer feedback conduct a survey, you can combine this and the customer feedback script that was mentioned earlier to get the customer’s responses also in the sheet. In this case, an automated call will be made to the given list of numbers in the spreadsheet and the required flow will be played to them. This flow has to be created in the Exotel dashboard. and other parameters with your Exotel credentials!). 3. Open the spreadsheet, and populate the required numbers in the first column. 4. Select Call all numbers option from the Exotel tab on the spreadsheet. makeCall("" + data[j]) //Calling the makeCall function that makes calls. var url = "https://twilix.exotel.in/v1/Accounts/" + EXOTEL_SID + "/Calls/connect.json"
We get a lot of requests from our customers asking for agent on/off duration information in a downloadable format. While this isn’t one of the reports available on our system yet, we understand how this information can be of great use to companies that want to understand how their customer communication is working. While this report is in the product pipeline, we wanted to figure a way to make it simple for our customers to download this information in the meanwhile. Every time an agent turns themselves on or off, we send our customers an email notification. Using that email, a simple Gmail filter and sheets, this report can be generated anytime you want. You can refer to the following link to learn more about Google appscript here, use this GitHub link to access the code, or you call us on +91 8088 919 888. Disclaimer: If you’re an Exotel customer and are interested in trying this out, you can talk to us to understand how you can implement this for your specific scenario. Please write to hello@exotel.in, or get in touch with your account manager to work out the specifics.